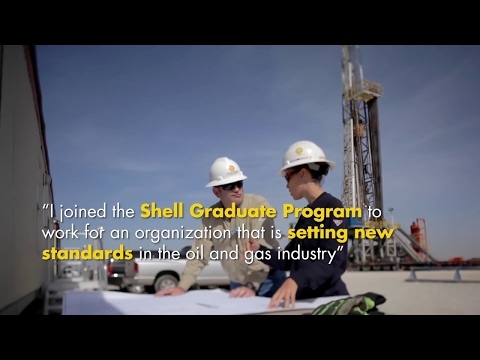 Discover the world of opportunities available to you through the Shell Graduate Program. Whether you join the Shell Graduate Program in a technical or commercial role, you will receive unparalleled formal training designed to give you the knowledge and experience to become a future leader. To learn more about the Shell Graduate Program and how you can kick-start your career, take a look at our Interactive Guide at the bottom of this page. ALL OF OUR FULL-TIME OPPORTUNITIES ARE CURRENTLY FULL. PLEASE CONTINUE TO CHECK BACK DURING THE FALL FOR FURTHER UPDATES ON FULL-TIME GRADUATE ROLES. The Shell Graduate Program is designed to offer you the training, opportunities, and support you need to develop your leadership skills and form the foundation of a remarkable career. Through a combination of company integration, local and global development, progress checks and assessments, you’ll experience a variety of opportunities that will enable you to learn and enhance your skills in a range of situations. You’ll experience assignments and job tasks with real, hands-on responsibilities integral to Shell’s business. Shell is a diverse organization in a global environment and we want to give you the best chance to understand it all. Shell’s Onboarding Program will help you appreciate your own position in the company and how you contribute to our success. You will be assigned a supervisor and a mentor. Together, with your supervisor, you will construct your tailored Individual Development Plan (IDP) to ensure we are providing you with the strongest possible support needed to succeed. Gain industry-recognized qualifications and enjoy opportunities to progress to leadership. Our structured learning courses provide a comprehensive insight into Shell’s workings, and open up an international network of business professionals offering a wealth of first-class guidance and advice. We are looking for ambitious graduates who are currently enrolled in a post-secondary institution, and in your final year of study or have less than three years of relative work experience. As part of our process to identify remarkable individuals, we use a competency-based assessment methodology which focuses on Capacity, Achievement and Relationships (CAR). We’re looking for people with the intellectual, analytical, and creative ability to learn quickly, identify issues, and propose innovative solutions. We want driven high-achievers full of curiosity, self-confidence and organizational skills. We’re searching for strong communicators who work well within a team, respect others and encourage and support colleagues. Be Part of a Better Future. Find a Graduate Program in your location by using the search bar then complete your application online – note you can save time by connecting your LinkedIn profile. Before applying, make sure you are eligible to work in the country where the program is based .Please note that your results from the online assessments and the On-Demand Video Interview are valid for up to one year. Therefore, if you re-apply after an unsuccessful application within the specified timeframe, it will be automatically regretted. Similarly, a new application after a previously successful one within the same timeframe will be automatically progressed. The application shouldn’t take more than 5-10 minutes. On the day of your assessment, you will be assigned a topic relating to your case study and then given 20 minutes (30 for non-native English speakers) to prepare a 5-minute presentation. This presentation will be followed by questions and additional scenarios from the assessors for up to 30 minutes. After this, will be an interview - this is where you have the chance to get to know us, and for us to get to know you better. To make the interview process more convenient and comfortable, we are leveraging the latest digital technology to bring the experience to you – wherever you may be. Shell gives you many, many opportunities to discover your inherent skills. If you're proactive about your development, you can go anywhere. Your learning curve just escalates like you would not imagine. You're not just another number. You're part of a family. Everyone is always willing to help and give their input. It's a great company and the opportunities are endless. How can you increase your chances of standing out among all the other applicants? To answer this question, we asked three of Shell’s Recruitment Managers about what they saw in candidates that stood out.